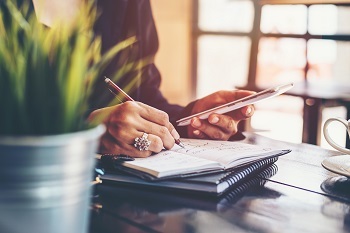 Changing your name after a divorce can be the symbol of a new start for many women – whether you decide to revert to your maiden name, whether you choose an entirely new name, or whether you remarry. Changing your name during the legal process of divorce is also relatively easy as you simply need the approval of your judge and a bit of paperwork to move forward with the alteration. We have outlined the process to change your name in Washington State if you haven't already done so. 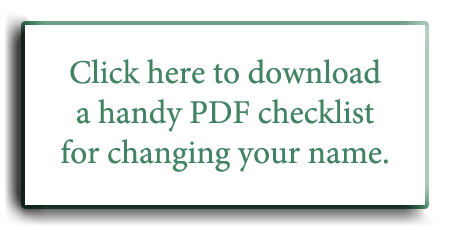 However, after your name change has been approved and documented, you still need to alert a number of different organizations, companies, and other entities to the change. Below, we’ve created a list of places, organizations, and documents that will need your attention after you have changed your name. Many of these changes can be made at the same time or when you change your address (which often also happens in the case of a divorce). While the list can seem overwhelming, just make a few changes at a time to allow yourself to feel and understand all of the emotions that might come with making the change. Do you need legal assistance with your Washington State divorce? Contact Seattle divorce attorney Molly B. Kenny today to schedule an introductory meeting. Can I Change My Child's Last Name After Divorce?